Selecting the right aircraft at the right price is an extremely important and sophisticated process for anyone. Six G Aviation offers the professional experience to make the aircraft selection process more predictable. The customer is well informed at every step of the process so they can have the confidence that the best aircraft is being selected. Six G Aviation does continuous research of the pre-owned market, both domestic and international. We also have a strong working relationship with the business aircraft manufacturers and many aircraft brokers. In every selection process, a detailed cost analysis is completed to ensure that the asset being acquired will meet the customer's financial objectives. We always perform a thorough and professional review of the aircraft records and mechanical condition to ensure the aircraft will offer the customer the maximum value. With our selection process, the customer has total confidence that the best aircraft was selected to meet the company's needs and financial objectives. Gary Gwynn started his aviation career in the United States Marine Corps serving four years as a crew member on C-130s. He worked with the FAA as a Flight Safety Counselor prior to joining Eastern Airlines. After Eastern's closure, he became a Flight Department Manager for a private operation that continually sought out business opportunities through aircraft acquisitions and sales. He then joined one of the largest inventory business aircraft sales companies in the United States as President of Sales & Acquisitions. Having worked with a large sales organization, he saw the opportunity to offer his customers better service by controlling the complete process. Gary has many satisfied customers that would be pleased to provide a reference. Gary is an Airline Transport Pilot (ATP) with ratings in fixed and rotor wing aircraft. He is type rated in four commercial jets and in seven business jet models. 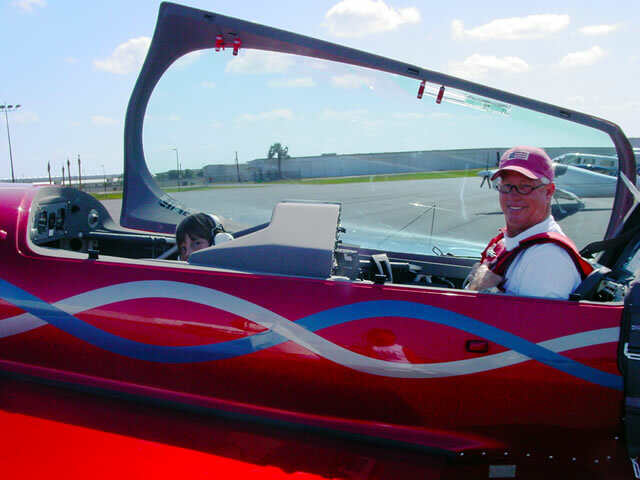 He flies his own "Extra 300" aerobatic aircraft for sport and has FAA approval for low level aerobatic flying. He has over 12,000 hours that include both domestic and international flight time. I take a great deal of pride in obtaining the very best value for my customer. The aviation industry is a very enjoyable endeavor, but it demands the professionalism that I have accumulated during my career. The culmination of my experience resulted in the formation of Six G Aviation. Salt water fishing and flying my Extra 300 aerobatic aircraft are my ways to really relax and escape from the demands of the aviation business. Six G Aviation can be contacted via any of the methods listed below, or you can click on the Request Information link and fill out the web form. We will respond to your query as quickly as possible.